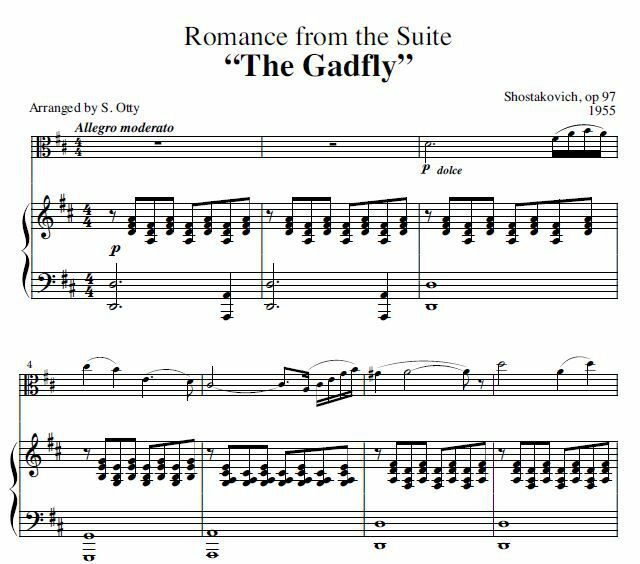 Drawn from Shostakovich's film score to the 1955 film The Gadfly, this Romance is a tender, sentimental love theme. In fact, it is so "schmaltzy" it is almost uncharacteristic of Shostakovich - upon listening to this piece, you might think you were listening to Kreisler! The film music was, of course, scored for the larger sounds of the symphony orchestra, but this arrangement by Sue Otty captures the music’s feeling beautifully. It is not technically difficult, and would be suitable for an intermediate student violist. 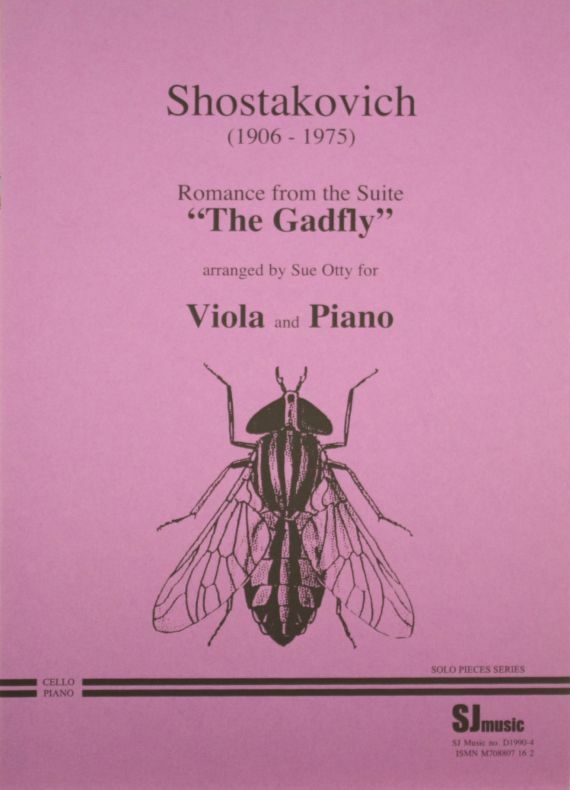 This piece is on the Grade 5 viola Trinity syllabus until 2019.